Here is eG Innovations telling you about their product and technology. Desktop and application virtualization offer significant benefits to organizations. At the same time, there are unique challenges that these virtualization technologies present to IT teams. 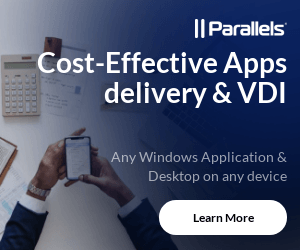 End users are the central focus of desktop and application virtualization and this means that IT management has to shift away from focusing on resources to user experience. For any digital workspace initiative to be successful, the digital workspace must deliver superior user experience than physical desktops. In order to achieve this goal, Citrix/VDI admins must be equipped with the right insight to be able to track down performance problems before users notice and complain. eG Innovations is a leading provider of Citrix performance monitoring and analytics solutions that offers built-in KPIs, metrics, alerts, and reports to detect, diagnose and triage Citrix problems such as slow logons, slow app launch, frozen session, disconnects, and so on. 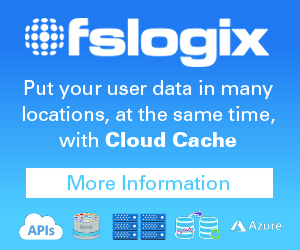 Their flagship monitoring solution, eG Enterprise, has been purpose-built from the ground up with deep Citrix domain expertise, machine learning, and correlative intelligence to help Citrix professionals identify the root cause of Citrix problems, troubleshoot faster, and optimize performance and capacity. With eG Enterprise, Citrix professionals can prove it’s NOT Citrix which is the real cause of slowness! a.Synthetic Monitoring: Using an agentless approach, eG Enterprise synthetically simulates user logons from any location and proactively monitors the logon performance. Administrators can clearly see which step of the logon process is taking time: StoreFront/NetScaler ADC access, user authentication, desktop/application enumeration, HDX session establishment or desktop/application launch. An extension to logon simulation is eG Enterprise’s capability to simulate an entire Citrix session. 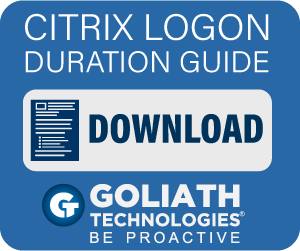 This capability not only simulates Citrix logons, but it also verifies that applications can be launched within a desktop session and performs launch in a desktop session and execution of and transaction execution. These synthetic monitoring approaches provide 24×7 proactive monitoring. b.Real User Monitoring: To complement synthetic monitoring, eG Enterprise also incorporates monitoring of real users and their experience when accessing Citrix services. Leveraging Citrix APIs, eG Enterprise monitors Citrix user experience of every user and every virtual app/desktop session in real time. 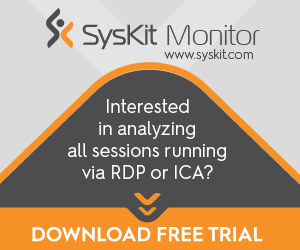 Key metrics monitored include logon time breakdown, application launch time, ICA virtual channel usage, user connection quality, network latency between the datacenter and user terminals session disconnects, user active/idle time in session, EDT performance, and more. Built-in user experience dashboards make real-time monitoring of Citrix digital user experience a breeze. Just search by the user name of the Citrix user and open up their user experience dashboard to track metrics in real time. 2. Monitors every layer, every tier of the Citrix delivery infrastructure: Citrix service delivery depends on various components working together in concert. When user experience is poor, administrators must be able to determine which of these components is the cause. eG Enterprise has native support to monitor all the components in the Citrix stack – XenApp, XenDesktop, XenMobile, XenServer, NetScaler, StoreFront, WEM, PVS, License Server, Delivery Controller, Citrix Cloud, etc. 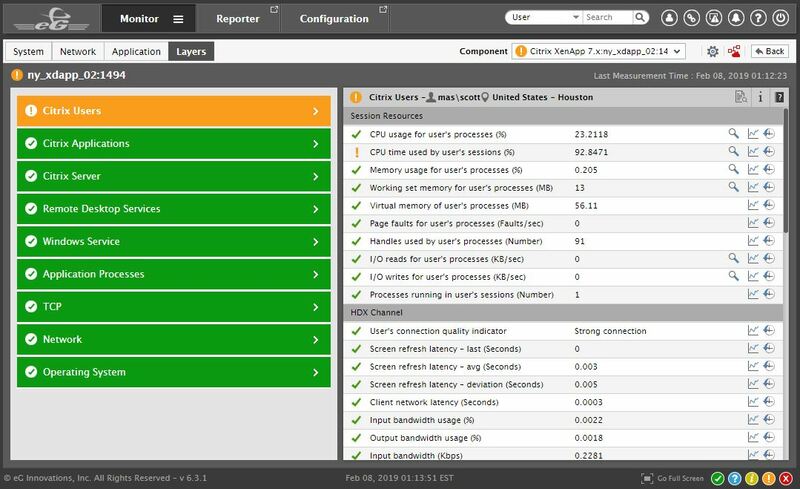 It also delivers purpose-built dashboards for each Citrix component monitored and ensures total performance observability across the entire Citrix delivery infrastructure. 3. 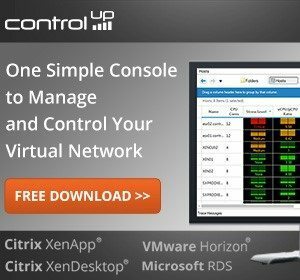 Automatically isolates the root cause of problems: Given the many interdependencies in the Citrix infrastructure, there’s often a chance that a non-Citrix problem can affect Citrix performance. For example, a backend problem in the Exchange server can cause Outlook access to be slow, but users would report it as a Citrix issue. A backend database hotspot can manifest as Citrix slowness. The same with storage, virtualization or even network. Latency on the client side or corporate network can affect Citrix performance. 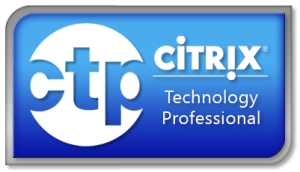 In order to get a complete picture of the various factors affecting Citrix performance, one needs to monitor Citrix as a service with all Citrix and non-Citrix components included and not each tier in a silo. 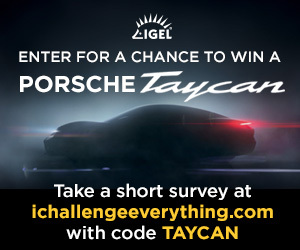 eG Enterprise includes a patented correlative intelligence technology that uses machine learning and dependency mapping to understand relationships between components and auto-correlate performance metrics to pinpoint the root cause. Without having to battle with different teams and stakeholders to identify the source of the problem, you can use eG Enterprise to automatically detect the root cause in minutes. This saves considerable time for the Citrix admin team, expediting troubleshooting and improving the effectiveness of IT operations. 4. 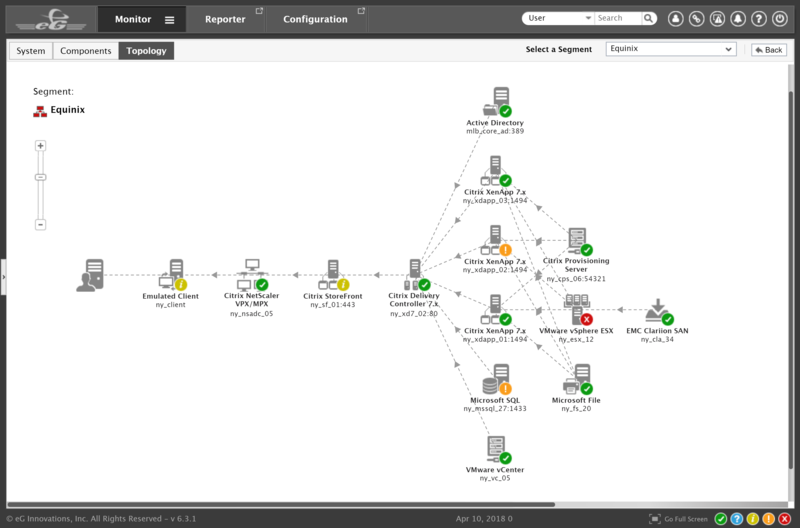 Provides insights to right-size & optimize the Citrix infrastructure: Going beyond monitoring, eG Enterprise ships with a ton of pre-built and customizable reports that allow Citrix admins and IT managers to get historical analytics to track performance trends, correlate different time-series events to detect anomalous patterns, understand resource usage trends, forecast how long resources will last, get right-sizing and load balancing inputs, use reports for auditing and compliance. Out-of-the-box reports can be viewed online, generated as PDFs and be configured for scheduled email delivery.